The efficacy of Ayurvedic products from India is critically dependent on an uninterrupted availability of raw herbs. It means that necessary Ayurvedic plants of the right quality should be available in the right quantity. 80-90% of the ingredients of Ayurvedic products manufactured in Kerala are herbs gathered from the forest by traditional families of herb gatherers. The expanding Ayurvedic industry and removal of natural forest habitats of these plants has had adverse impact on the raw herb supply position. In fact, the Government of India considers more than 100 Ayurvedic plants to be scarce. This scarcity has unfortunately resulted in most Ayurvedic manufacturers either skipping the scarce herbs in the preparations or accepting knowingly or unknowingly adulterated herbs from forest gatherers. This in turn reduces the efficacy of the Ayurvedic products causing long term lack of faith in Ayurveda and/or Ayurvedic products manufactured in India. With its 100+ years of absolute commitment to producing quality and authentic Ayurvedic products, Kottakkal Arya Vaidya Sala is well known to stop its production awaiting authentic raw herbs. As a charitable, non-profit institution, Kottakkal Arya Vaidya Sala is able to resist monetary pressures and hence can stop production if quality herbs are not available. This is one of the main reasons why the Ayurvedic products manufactured by Kottakkal Arya Vaidya Sala are considered around the world of such high quality and efficacy for generations. As, Dr. Rema Shree, Deputy Director, CMPR, Kottakkal Arya Vaidya Sala says – “There is no short cut”…. 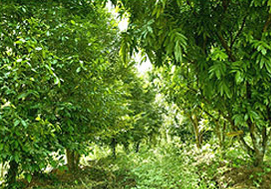 Nearly 220 acres of land have been developed as Ayurvedic plants estates. 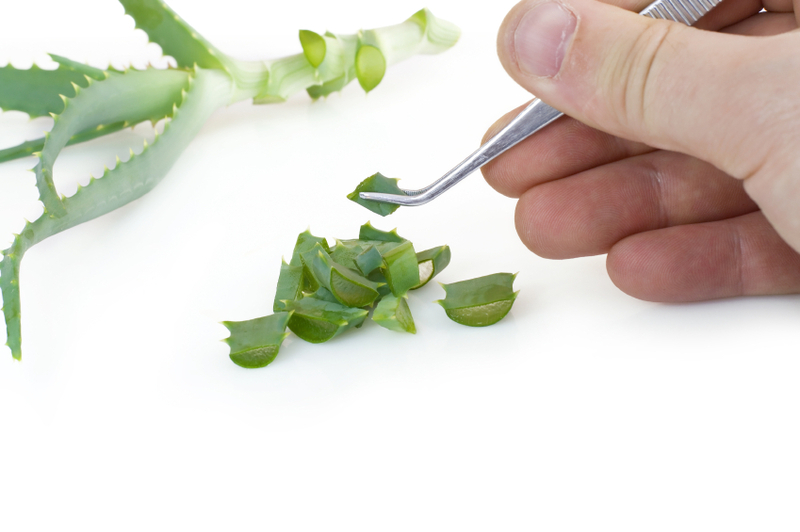 Several annual, biennial and perennial herbal species are cultivated for in-house consumption. 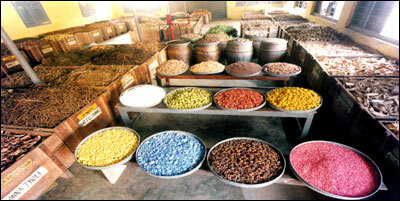 In fact, Arya Vaidya Sala is now self sufficient in certain items like Atalotakam, Karinkurinji, Nagadandi and Brahmi. There are approximately one hundred other Ayurvedic plants which are cultivated for supplementing production needs. These gardens also support scientific activities by providing trial cultivation and maintenance of field gene banks. About 500,000 seedlings are produced for distribution among potential cultivators. 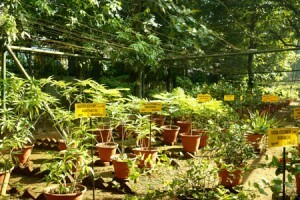 The greenhouse facilities at the Center for Medicinal Plants Research (CMPR), Kottakkal, are being used for the generation of seedlings and cuttings. 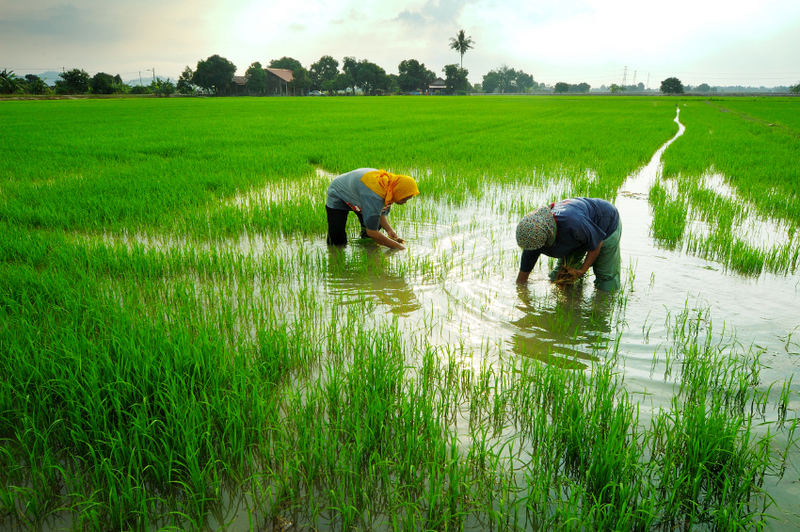 A special type of Shashtika rice is cultivated for treatment applications. Special COD and MYD varieties of dwarf coconut trees are planted to meet the demand for the tender coconut water used in many Ayurvedic product preparations. 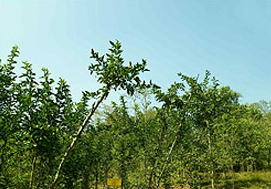 A BSRI variety of gooseberry trees is planted for supplementing the supply. The special knowledge and skill generated in the field of these Ayurvedic plant cultivations are transferred to individual farmers and NGOs through a variety of extension and education programs. With the involvement of the expertise available through the Center for Medicinal Plants Research(CMPR), various extension activities are conducted at Panchayat and District levels. The Medicinal Plants Board, Government of India has recognized the efforts of Arya Vaidya Sala in the field of herb cultivation and has extended financial support for strengthening these activities. Another allied activity is the production of high grade organic manure from the solid herbal residue generated in the manufacturing units. 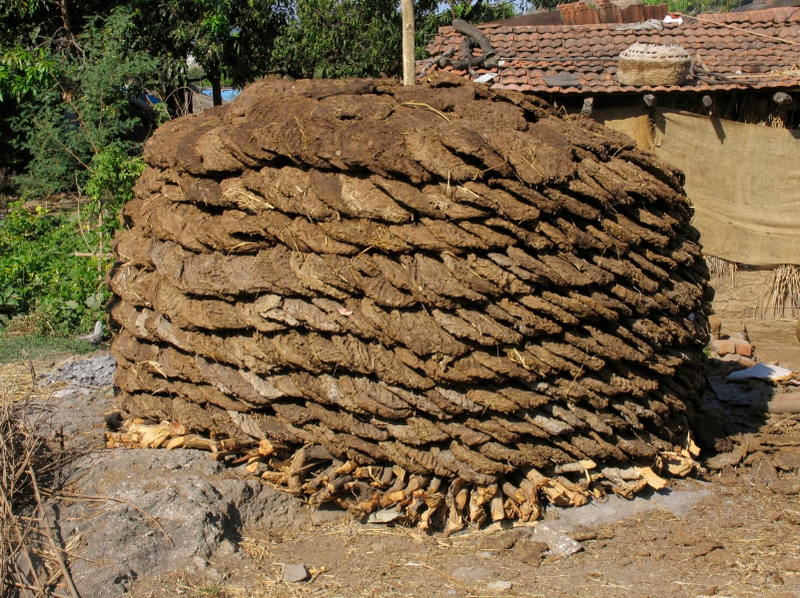 Apart from using this manure for captive consumption, it is also being made available at a subsidized cost to the cultivators and farmers. 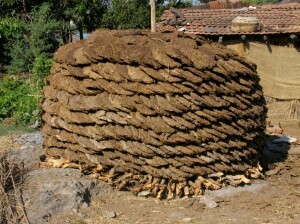 New methods of compost production using micro organisms are also planned. Scarcity of water is a major problem while expanding cultivation activities. Apart from attempting to identify new sub-soil water sources, concerted efforts are made to conserve ground water by setting up ponds and by recycling effluent water discharged from the manufacturing activity. A demonstration garden is set up on an eight acre plot at Kottakkal. 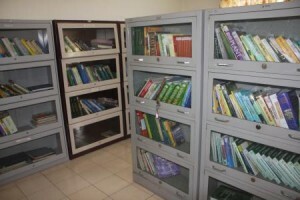 A live collection of 700 scientifically identified plants, a herbarium and a museum for selected items of correctly identified herbal ingredients are maintained in this facility. This facility serves as a center of learning and referencing for professionals, physicians, students, farmers and others. Based on the taxonomic studies made here, several scientific papers and books have been published. The garden is a favored location for informed visitors as well as laypersons. The Department of Biotechnology(DBT), Government of India, has granted an extension of the project titled ‘Establishment of a Germplasm Bank for Ayurvedic Medicinal Plants’ to Arya Vaidya Sala. 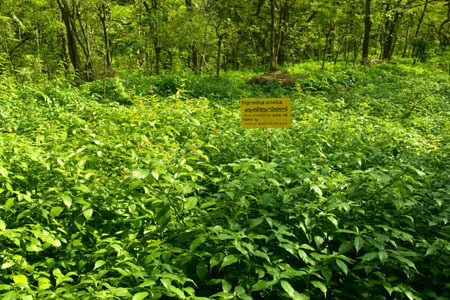 Out of the 150 rare plants selected for the Field Gene Bank, 136 have been collected, so far, from South Indian forests with their available variants and planted in the two local herbal gardens of Arya Vaidya Sala. 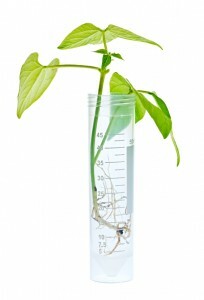 Seeds of 35 plants are stored in the Seed Gene Bank under specific temperature and humidity. A Herbarium, Raw Drug Museum, an Image Library, a Digitized Database and an In Vitro Gene Bank have been established under this project. Based on the taxonomic studies done so far, 8 scientific papers have been published and 13 studies communicated to different journals. The Anatomy and Phytochemistry divisions undertake pharmacognostic studies of the raw herbs used in Ayurveda with a view to evolve their standards. Using the computer controlled microscopic system, a digitized database of the anatomical standards is being prepared which are used for the floor level checking of the raw ingredient samples to guard against aduleta. For further tests, chemical fingerprint profiles of about 300 Ayurvedic plants have been generated in the Phytochemistry division. 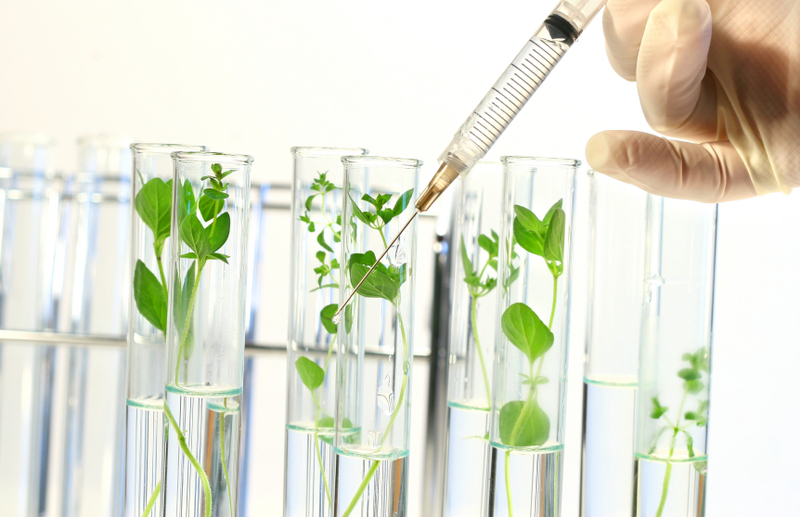 In vitro antioxidant studies of 11 plants,chemical fidelity testing of tissue cultured plants of 6 species and quality control studies of 14 raw herbs have been done during the last year. The division imparted training to 15 postgraduate students. 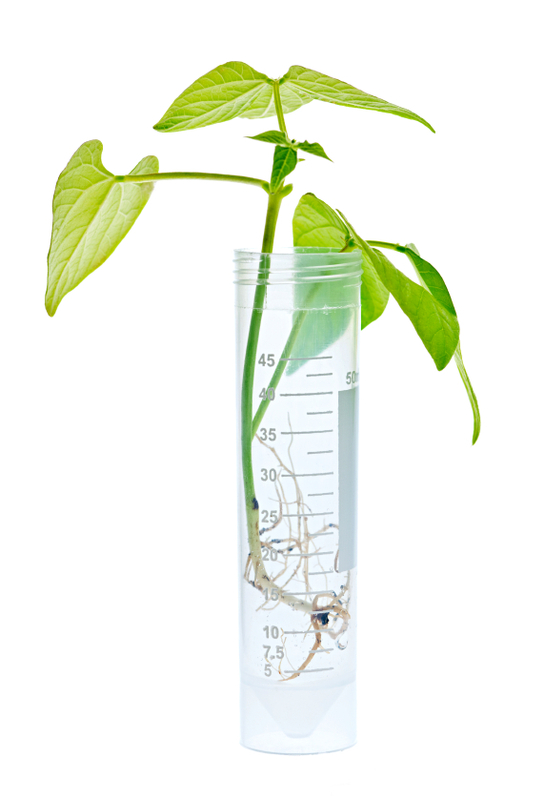 In the Tissue Culture Facility, micropropagation protocols have been standardized for 14 species and protocols have been scaled up in 6 species this year. Based on the work done, four research papers were published and five sent for publication. Training was imparted to 15 post-graduate students from various universities. A project titled ‘Quality standardization of Indian Medicinal Plants’ is underway sanctioned by the Indian Council for Medical Research, New Delhi. The project aims at developing quality standards of Ayurvedic plants using anatomical and phytochemical parameters. An important activity has been in the area of collating and compiling information of the character and use of Ayurvedic plants as found in classical and modern texts. This major work has resulted in bringing out a five volume treatise entitled “Indian Medicinal Plants-A Compendium of 500 Species” (Orient Longman, Chennai, 1994-96). Among the Ayurvedic scholars of North India and Kerala, there is sometimes a difference of opinion as to the actual identity of herbs and their authorized botanical names. Also, among the forest gatherers, there is confusion concerning similar folk names of different plants in different parts of India. This sometimes causes confusion even among knowledgeable Ayurvedic physicians as to their actual identity. The above compendium and another related more comprehensive work in Malayalam (authored by Dr. C Ramankutty, Head-Publication department, Kottakkal Arya Vaidya Sala) delineates detailed discussion points from the view of Kerala Ayurvedic scholars as to the current identity of plants mentioned in ancient Ayurvedic texts and their related botanical names. 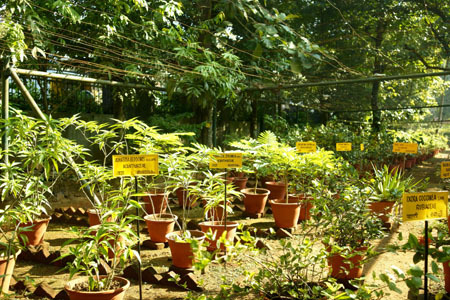 In order to satisfy a long felt need for an Institution dedicated to conservation and study of Ayurvedic plants, the Center for Medicinal Plants Research (CMPR) was initiated by Kottakkal Arya Vaidya Sala in June 2002 by the generous funding from the Sir Dorabji TATA Trust, Mumbai. The new building comprising of an administrative block, along with, botany, phytochemistry and tissue culture laboratories was inaugurated by His Excellency Dr. A. P. J. Abdul Kalam, The President of India, on September 25, 2003. 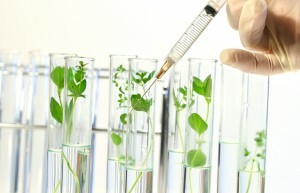 Establishing a Ayurvedic plants gene bank with field, in vitro, and seed bank components. Resource mapping of Rare, Endangered and Threatened Ayurvedic plants. Detailed investigations of the raw herbs and their plant sources to establish the authenticity of the source and to evolve standards. Botanical, pharmacognostic, phytochemical and pharmacological profiling of the Ayurvedic plants. Molecular profiling of important Ayurvedic plants. Rapid tissue culture propagation of important and recalcitrant Ayurvedic plants, with a vision to widen the resource base to the Ayurvedic industry and also to repopulate the forest niches. Analysis, extraction, identification, study and utilization of the bioactive principles from Ayurvedic plants. Screening of germplasm of the important Ayurvedic plant species to locate superior chemotypes and genotypes. 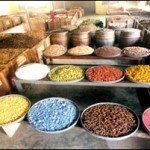 Processing and value of addition of Ayurvedic plants. Popularization of Ayurvedic plant cultivation on a large scale and also to supply genuine planting material for commercial cultivation and to the people of the rural areas. Establishing a data bank on the Ayurvedic plants of Kerala. For more information visit Center for Medicinal Plant Research (CMPR), Kottakkal. © 2014-2016 Kottakkal GmbH in Liqu.